Transform your home with beautiful, high quality windows and patio doors from Milgard. Whether you are building a new home or boosting your curb appeal with a remodel, choosing the right new or replacement windows and patio doors can do wonders for your home. Learn more about the benefits and steps involved in different window and patio door installations. Tips to consider when installing windows for a new home construction or major remodeling projects. From home value to comfort, learn why it might be time to begin a replacement window project. 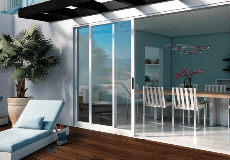 What to expect when new construction patio doors are installed based on operating style. Replacement or "retrofit" patio doors are installed to enhance performance, comfort or aesthetics. Learn the difference between replacement windows and new construction windows to help you choose the best option. From interviewing to finalizing a contract, get expert tips on selecting a contractor for your next project.